Surely, we’re at 3.0 by now, even with an awareness-driving sign like this, right? Tell me. Show me. Go. 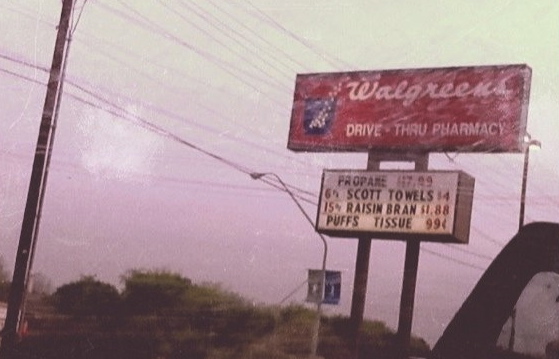 This entry was posted in Digital Signage, Marketing and tagged Digital Signage, Walgreens on 04/08/2011 by Mike Cearley. 3.0 OOH has to be updatable on line. No more going out to the sign and sticking a new one up. This is beginning to happen. 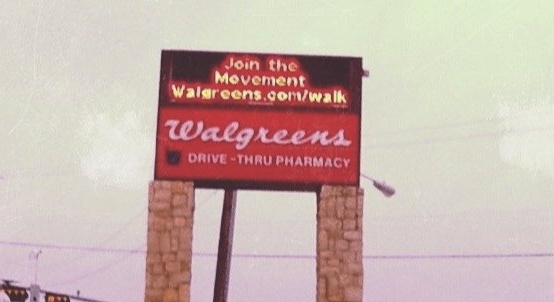 Dallas for example is considering allowing Digital Billboards on the streets. 4.0 is when the signs are sold as part of the day. So for example McDonald’s has it for breakfast with an offer. Then maybe a Mall takes it over just before Lunch. A hospital group in the afternoon. A cereal company at pick up from school time and maybe Exxon as people are on their way home. Try to figure it out at time of day, time of buy. Then how does this all interact with mobil and so on? Would love to have your thoughts along the way. Hi Mike! I think the 3.0 OOH should involve interaction. Like customers’ tweets or check-ins displayed on digital screens, or QR codes on posters. …something that would allow for a conversation to take place. Yes, exactly. Interaction is key to the next generation. Thanks for your thoughts!